It was a magical night in Historic Filipinotown Los Angeles, on Sat. 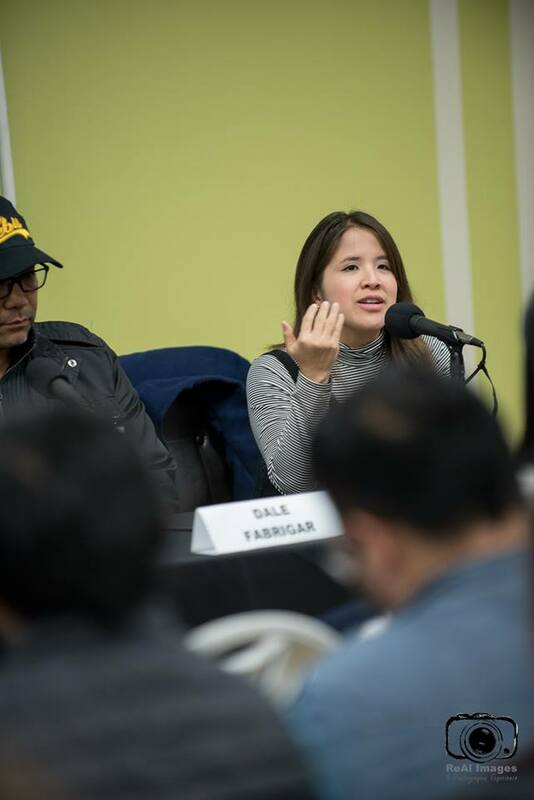 Feb. 23 when an enthusiastic crowd packed into the Pilipino Worker’s Center for FilAm Creative’s “Filming in the Philippines” panel sponsored by RLJ Entertainment and Lay Bare Waxing Salon. 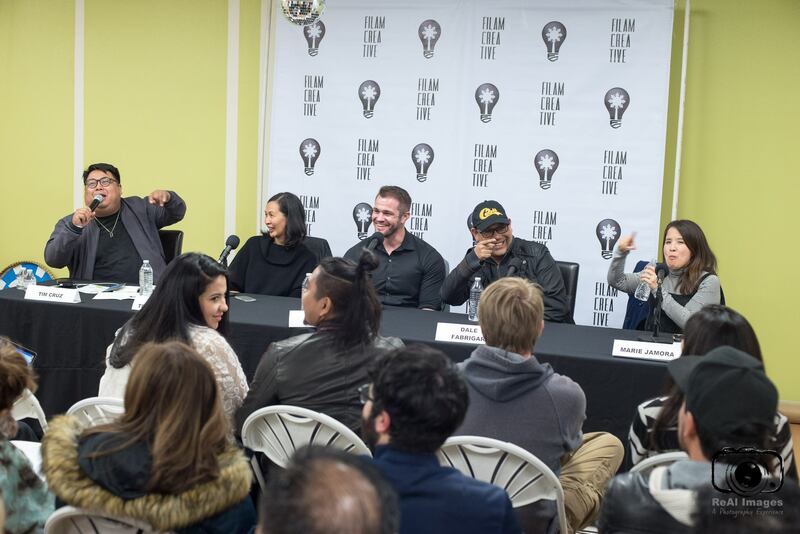 The event, a first of its kind, was held by FilAm Creative, a 10 year-old all-volunteer organization that educates and advocates for the Filipino-American entertainment community and all looking for a collaborative workspace in order to achieve greater representation and career advancement. The Philippines had been a hotbed of Roger Corman B-movies in the 70’s and 80’s but has since seen relatively few foreign films shot in the country compared to some other Asian countries. But there has been a recent wave of films by Filipinos and foreigners that is showing a spotlight on the country including the local films “On The Job,” and “Birdshot,” “Metro Manila” (by a British director), “Graceland” (by a Filipino-American) and the centerpiece film of the panel, “100 Yards,” which was partially shot in Cebu, Philippines and was co-directed by FilAm Creative member, Dale Fabrigar. The panel’s main sponsor, RLJ Entertainment releases “100 Yards” on home video March 5, 2019. Joining Fabrigar on the panel was Ross Campbell, his co-director on “100 Yards”, Marie Jamora, a Pinay music video/feature film director who’s now in the U.S., Margie Templo-Parks, filmmaker and line producer for John Sayle’s “Amigo” which was shot in the Philippines, and the moderator, Tim Cruz, a veteran director of commercial and music videos including ones for 50 Cent and P Diddy. The panel quickly endorsed the Philippines as a location where the American dollar can go very far. Currently the exchange rate is 52 Philippine pesos to the dollar. A $12 meal in New York City might cost $5 in Manila. A $30 Uber ride in Los Angeles clocks in at around $3 in Cebu. These prices extend to the cost of labor where the film crews are incredibly efficient and affordable. Equipment costs were about the same as you get in the U.S. because the same companies sell worldwide. Much of the equipment is available in Manila, the hub of Philippine filmmaking. So you often have to fly out equipment if you want to shoot in the “provinces” i.e. the surrounding islands. You may even have to fly in equipment from Hong Kong or Singapore as those are much bigger film equipment hubs of Asia. A scene from “100 Yards” shot in Cebu. Courtesy of RLJ Entertainment. All of the panelists did stress the importance of hooking up with a local producer to help you out. Templo-Parks said, “It’s like going to Colorado, or anywhere. You want someone who’s familiar with the area because that saves time and they know places you’d never find.” The panelists added that you should have a local negotiate with other locals for you to get the best rates or you might get the “tourist” rate. While the cost savings are evident, there are currently no government subsidies or tax havens that have made areas outside of Los Angeles attractive to production such as as Canada, Croatia or Georgia. But lawmakers are currently in the process of moving proposals through the Philippine congress to one day compete with other nations on an equal footing. However, the savings are already built in to the economy which means you don’t have to process paperwork for months waiting to get your money back like you do for government tax rebates and incentives in other place. “The incentive is the affordability of the place,” said Campbell. It’s an incentive that pays back immediately. The panelists mentioned that the best times of year to shoot are dependent on weather and travel times. March through June is the hot Philippine summer. June through October is typhoon season. That leaves November to February which is the cooler dry season in the Philippines. But Filipinos are crazy about their Christmas season which some say starts as early as Sept. So the Philippine streets in December are littered with the traffic of shoppers, partygoers and church attendees. In other words, avoid it. That leaves the best times to film in the Philippines as November, January and February. Book your tickets now. The Philippines is the secret of Asia that’s destined to explode in the coming years. 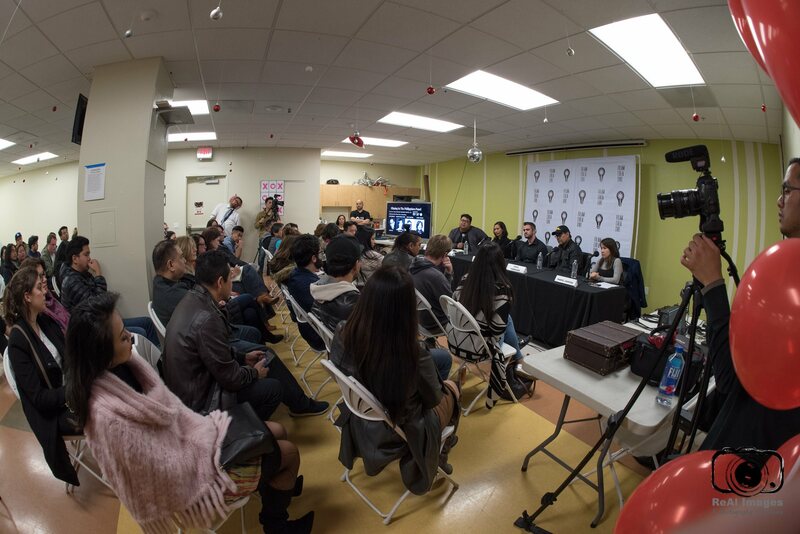 Many passionate filmmakers in the room were set on shooting their films in the Philippines in the near future. And it wasn’t just Filipinos. Caucasians, French and many other nationalities have taken to the charms of the Pearl of the Orient. With such an influx of money and talent set to flow into the country’s industry it could transform the reputation of the Philippines as a location. Word will spread as more and more films showcase the country and its people across the globe. On the local front, the industry will only get more robust. The 100 million population of the Philippines has a growing film industry but also its own issues with local film distribution and financing. But the Philippines is an incredibly tech-savvy country now with phone video cameras at its disposal and a massive young generation of new filmmakers ready to create. The local studios are opening up to more daring indie content that they didn’t look at in recent years. Netflix is joining regional competitors, such as iFlix and Hooq, in the race for streaming eyeballs. The nation is on the cusp of a film export explosion as more filmmakers become educated about international distribution and the entire planet of money that comes with that. It is an industry about to come of age. Add to that another 10 million Filipinos in the worldwide diaspora who long to shoot where they were born or at the home of their parents, lolos and lolas i.e. grandfathers and grandmothers. With the recent wave of an Asian-American presence in Hollywood and the explosive social media popularity of the picturesque Philippines as a paradise-like vacation-spot, you have a bubbling creative pot that’s guaranteed to pour into the country in the coming years. On every top ten beaches list you’re guaranteed to see at least one Philippine beach, if not three. On top of that, the Philippine economy is booming, most of the signs are in English, almost everyone speaks English and the food is cheap and addictively delicious. Moreover, once the film industry gets the reputation of its fast and affordable crews it will no longer be a secret filming spot. It will be the next place the world goes to shoot its movies. 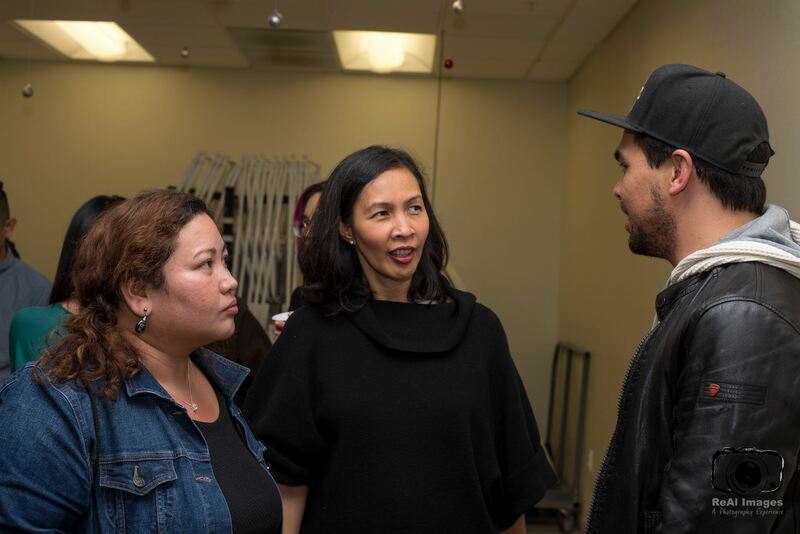 That movement begins with the standing room only crowd of filmmakers on a magical night in Historic Filipinotown Los Angeles, where they saw their Philippine film dreams crystalizing before their eyes. For more information and resources on filming in the Philippines, you can check out the Film Development Council of the Philippines at https://www.fdcp.ph/. The panel was sponsored by RLJ Entertainment, Lay Bare Waxing Salon, the Pilipino Worker’s Center and HiFi Kitchen. For more on the films by the panelists and filming in the Philippines check out the videos below. Walter Boholst is a filmmaker and president of Showbiz Consultants, an entertainment creative and business affairs consulting company. He wrote and directed Danny Trejo in the feature horror film “Voodoo Possession” and has 2 series with high-level shopping deals circulating in Hollywood. He’s been to the Philippines 4 of the last 6 years and has an entire slate of films ready to shoot in there. 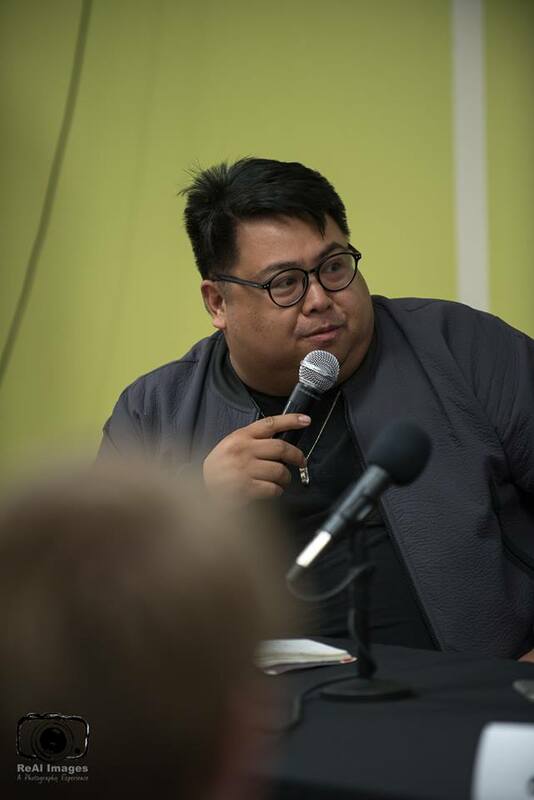 He’s been a consultant to the largest Philippine media company, ABS-CBN, a programmer for the LA Philippine International Film Festival and has been invited to speak on international distribution to filmmaker audiences in the Philippines. 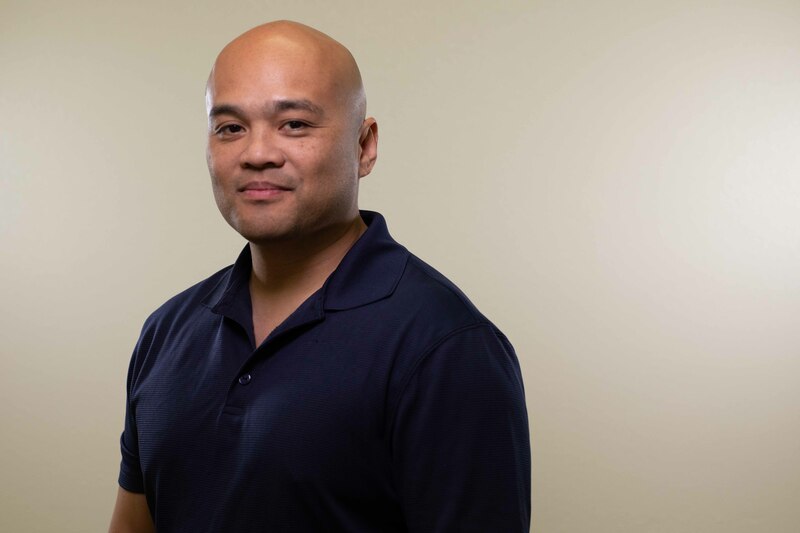 He is a co-founder and member of the board of of directors of FilAm Creative. He’s also a pass-first dribble-drive point guard who loves the Florida Gators.